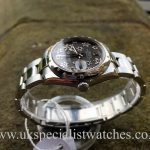 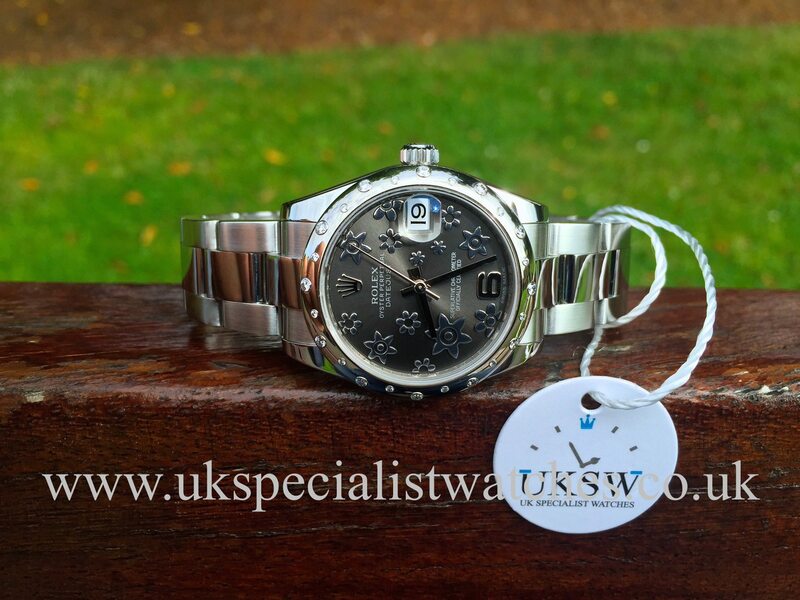 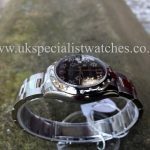 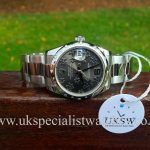 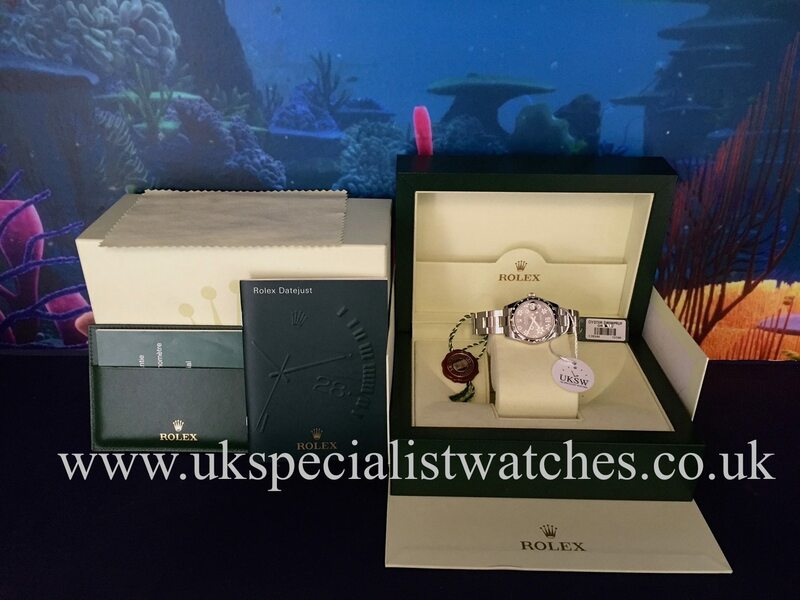 Rolex DateJust Midsize 31mm stainless steel case with a beautiful Rhodium grey floral dial, factory solid 18ct white gold bezel set with 24 brilliant cut diamonds. 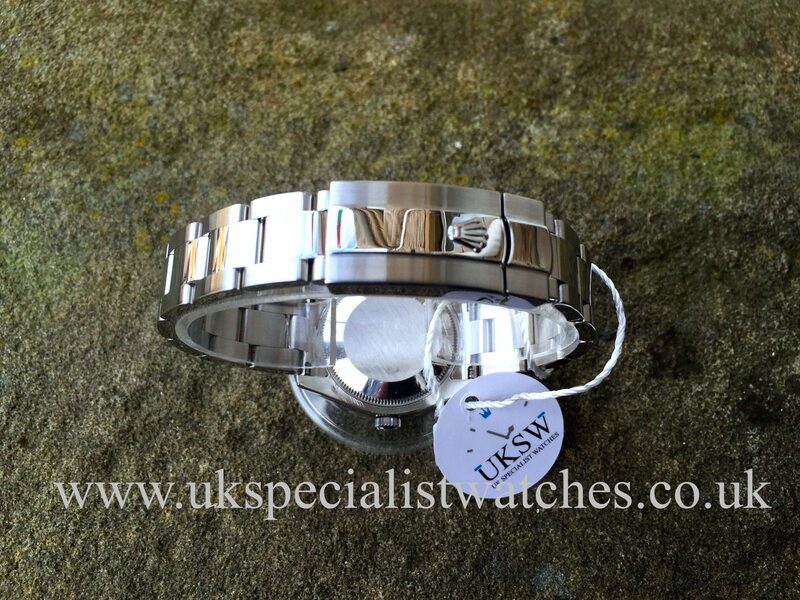 Fitted with the latest solid link stainless steel oyster bracelet and double folding clasp. Sapphire crystal glass, water resistant to 100m. 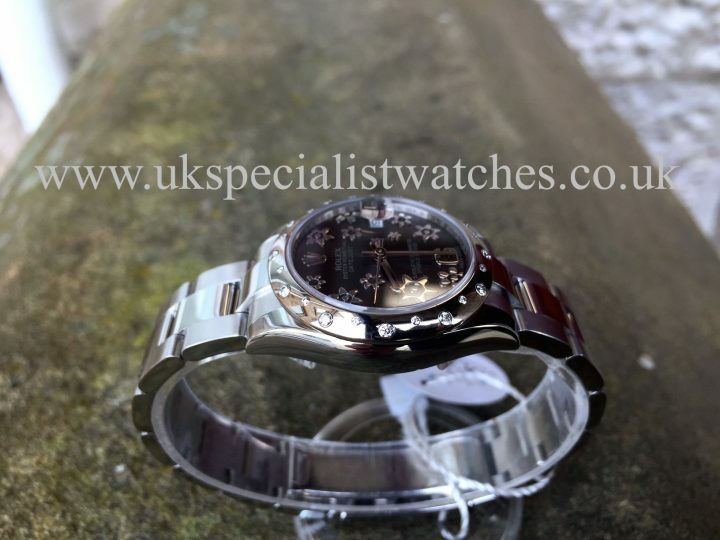 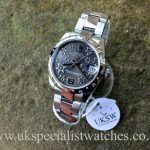 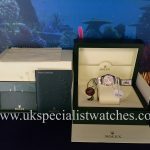 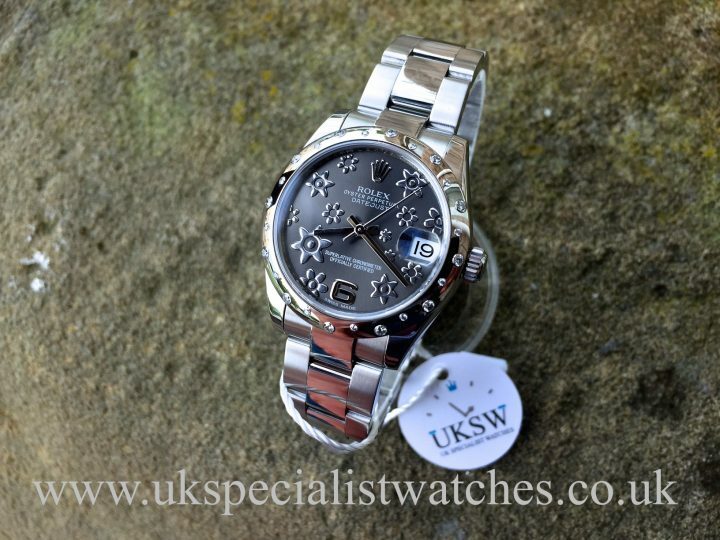 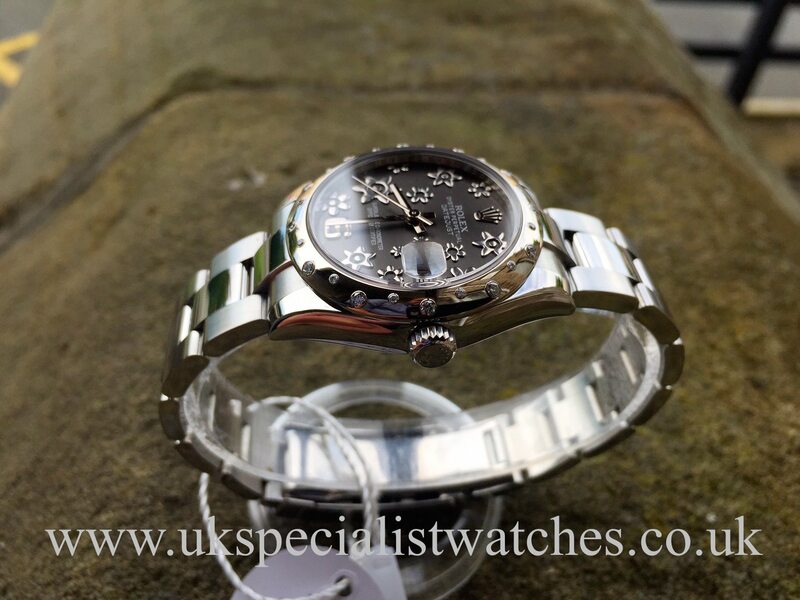 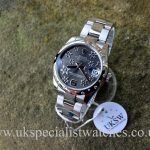 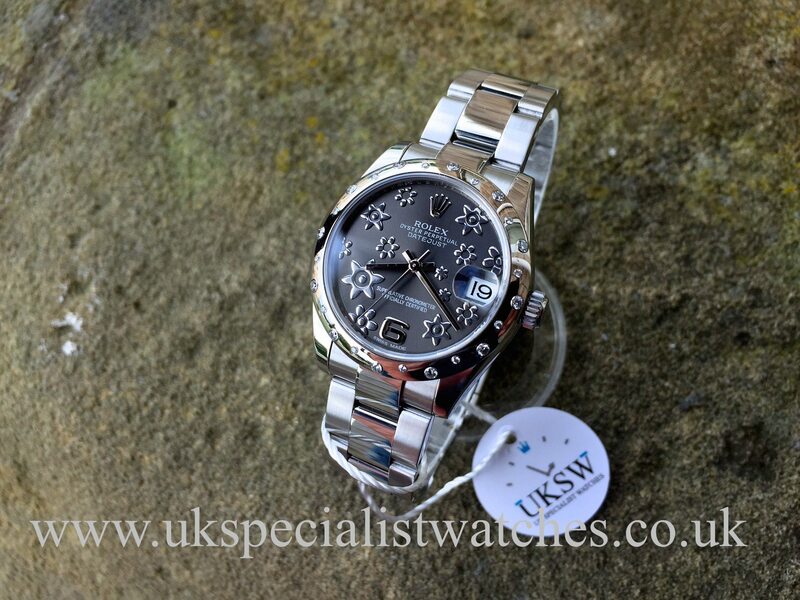 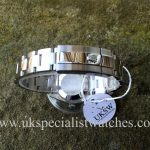 Supplied new in 2010 and comes complete with box, booklets, both swing tags one which bears the watches serial number.